Party vector design of a glitter ball. Neutral color sphere with small rectangular mirror tiles on the entire surface. Tiles with big sparkles. Free vector image to design party, disco, nightlife, club, dancing, music, DJ and night out visuals. 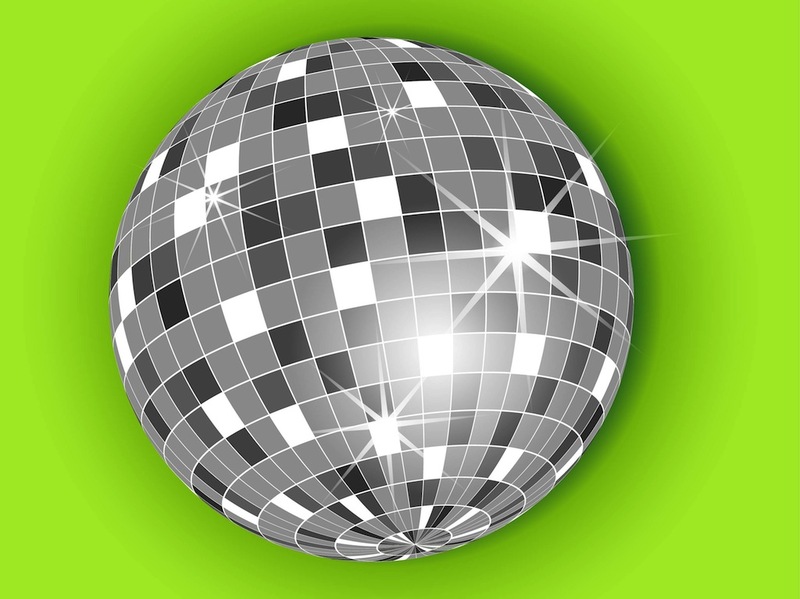 Download disco ball for flyers, posters and backgrounds designs. Tags: Club, Dance, Disco, Dj, Flyer, Glitter Ball, Mirrors, Music, Nightlife, Party.